Flat both sides to go into a bobbin case. SewSlip has a non-stick top surface which is bonded to cured silicone. The tacky back holds the SewSlip to your machines surface. 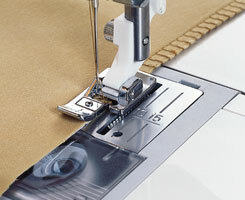 Simply remove the protective brown sheet, position the hole under your machine needle, and sew! Its that simple! SewSlip eliminates the drag on your free-motion sewing and quilting projects. Best of all, you don't need to tape SewSlip down to have it stay where you put it. 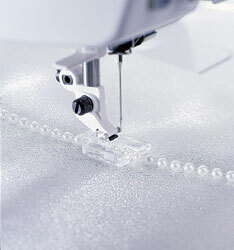 SewSlip is a generous 12" x 18" with a needle hole predrilled that fits most sewing machine beds. It can be cut with scissors if needed. We suggest storing it rolled up with the brown undersheet in place to keep it clean, but SewSlip is completely washable so will last a lifetime! When the tacky silicone side gets full of lint, threads, and/or cat hair, hold it under a running tap. The water will wash the mess away. Pat dry and you are good to go! Keep your rotary cutter far away! The sheet is like fabric and will cut easily. The SewSlip sheet can be used with your fusible projects and will withstand up to 500 degrees F. Your home iron only gets to around 350 degrees F, so it is safe to iron on it. The SewSlip sheet makes a great palette for inks and paints. 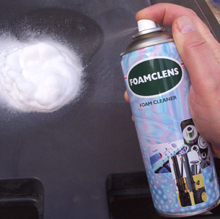 Easy clean up and no staining! Featured in Fabrications, Sew Today and Sewing World magazines. 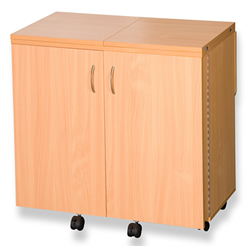 Cardboard that unfolds to 36 x 60"
Metric & inches with straight and true bias guidlines. FREE DELIVERY IN AREA A. PLEASE PHONE FOR SPECIAL OFFER PRICE. Low fitting screw on 1/4" foot with adjustable guide. 1/4" foot with adjustable seam guide. Designed to fit most snap on attachment holders. 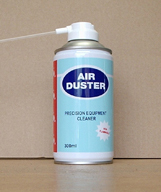 Air in a can to remove fluff etc. For 1000/1001 only, shown at bottom of picture. 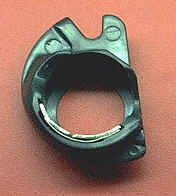 Fits Rotary Hook models: 180,185,200,640,730,450. 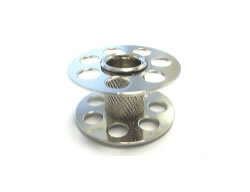 Low shank fitting screw on foot with groove on the front to allow you to sew sequins, ribbons, elastic etc. up to 9mm wide. Great for free motion quilting, makes life easier and alleviates back and neck pain. YDK Foot control without cable. For avoiding skipped stitches on synthetic fabrics. YDK Screw on external motor kit without light. Snap on foot with the front plastic removed so you can see what you are doing. Fits most machines with clip on feet. Allows you to do Applique embroidery & decorative stiches without them building up as there is a channel under the foot to allow the stitches to flow through. 15 watt push in bulb which fits Bernina,Singer,Pfaff, Husqvarna etc. 15 watt push in bulb which fits Elna etc. Fits; Bernina, Brother, Janome, Husqvarna-Viking and Pfaff etc. Medium screw 15w bulb normal type that fits Brother, early Bernina, Celestial, Globe etc. For lubricating and allows easy sewing of plastics etc. 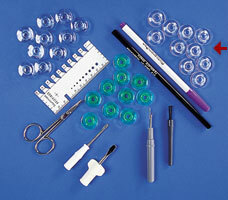 Plastic drop in bobbin case for 400/500/6000/7000 series. Genuine Singer part, not a cheap copy! 10 x Metal drop in bobbins for older machines. 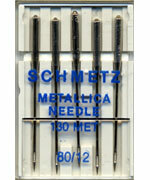 Singer needles for use in Singer machines etc. 03044 x 4 Self winding bobbins for 720 etc.